Making your own solution for restarting a mining rig that has frozen is relatively simple for pretty much anyone, you just need a Raspberry Pi board and a couple of 5V relay boards and you can be up and running in no time. You can use the base RPi operating system and with the help of WiringPi you can get easy control of the GPIO pins of the Pi, even direct console one with the GPIO utility. Of course you can install a web server with some basic visual interface as well, simple buttons to drive on/off the relays connected to the GPIO pins of the Pi board. If you have a spare Raspberry Pi 3 you have up to 28 channels available to drive on/off relays, though based on our experience only 25 of the GPIO puns are actually reliable usable. Pins 2, 3 and 14 have a bit of erratic behavior being in high (triggered state) when the Pi board boots up or temporary switching on and then off when rebooting the board, so it is wise to skip them. Another possible issue is the GPIO pin 0 (the bottom white one) as using zeroes can be tricky when programming something, so be careful with that one as well. We have been using the relays to short the on/off button on the motherboard forcing the mining rig to shut down and then start up again. This works surprisingly well and you avoid the need to work with the high 110V/220V mains power going through the relays that can cause problems for not so experienced users. 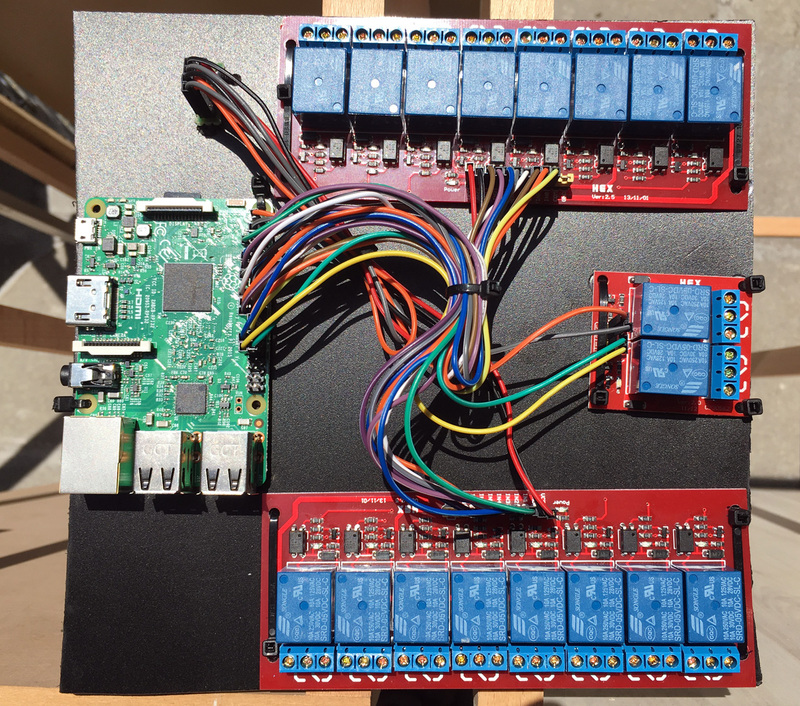 Our latest setup relies on driving 18 rigs though a single RPi 3 board, so we have a couple of spare channels available for extending the functionality of the controller further if we need to. So if you are looking for relatively cheap way to get remote control over the power of more mining rigs that are not easily rebootable otherwise you might want to start playing with Raspberry Pi and relays. It is not so cheap for just a few rigs as you need to buy a Pi 3 board, but once the number of rig rises the cost per system lowers. You can always start with a few and then add extra systems if needed, again you should have no problems driving up to 25 systems through the GPIO pins of the RPi 3. There are of course other commercial solutions also available for you to purchase that have been developer by miners for miners such as the SimpleMining SimpleRigResetter that we have talked about last year and now there is apparently a new version of the device already available, though it seems to be out of stock at the moment.